SKU: 3023190194011. Categories: Bath & Change Time, Bath Aids. Tags: Babyhood, Bath & change time. 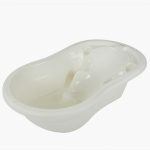 The Daphanie bath support is designed to make bath time easier. The special molded design supports your baby while in the bath. 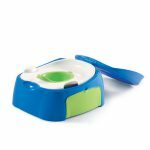 The support has two suction cup stoppers to reduce movement with bathing and an adjustable crutch section for a more snug fit for your baby.